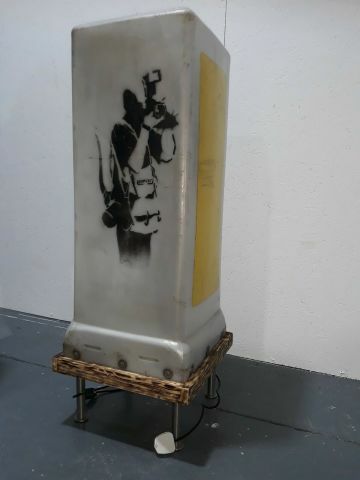 90 x 37 x 37 cm. 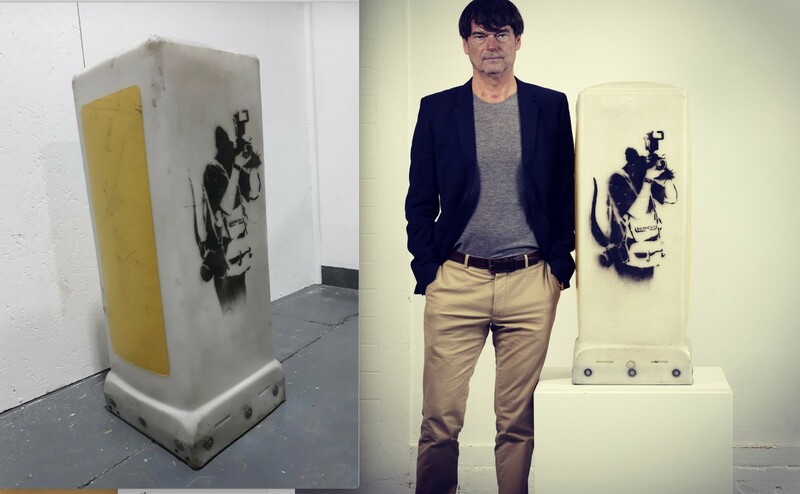 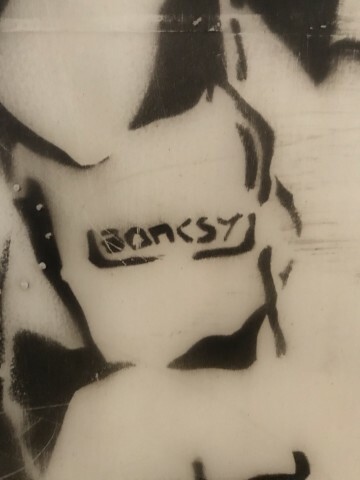 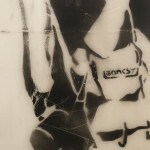 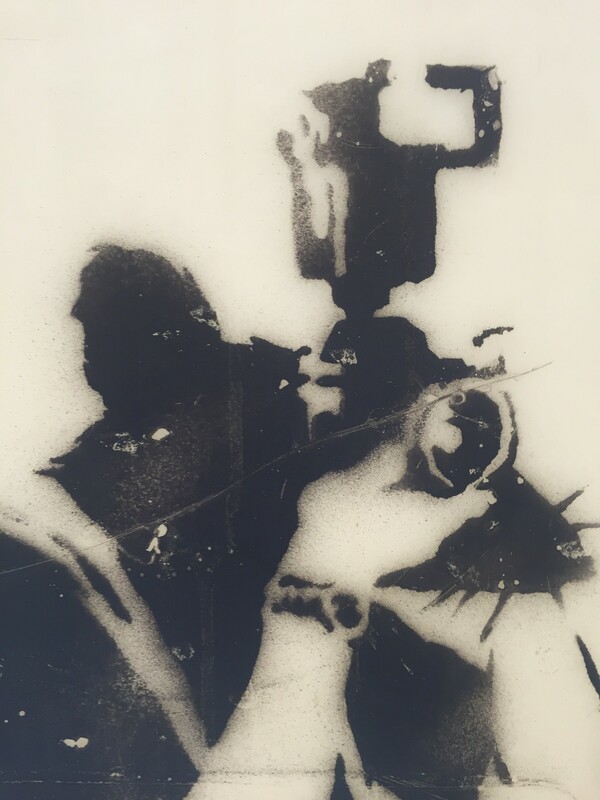 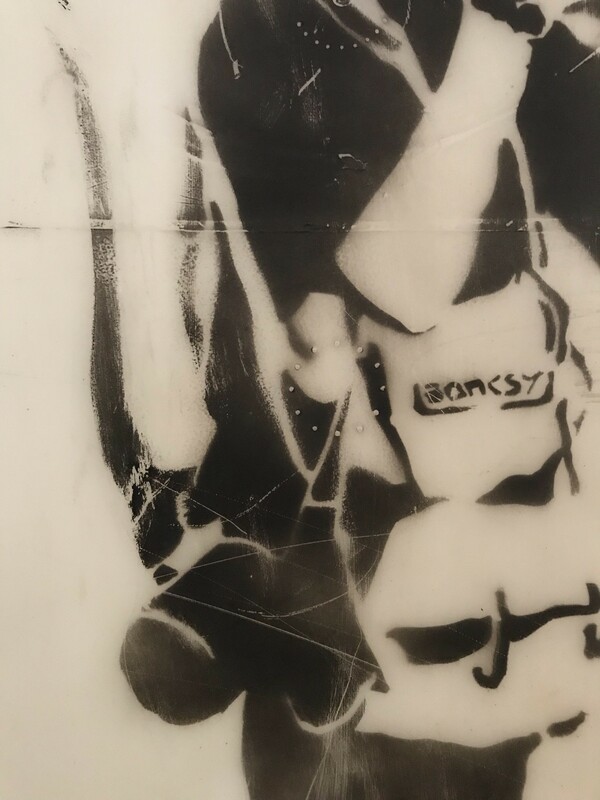 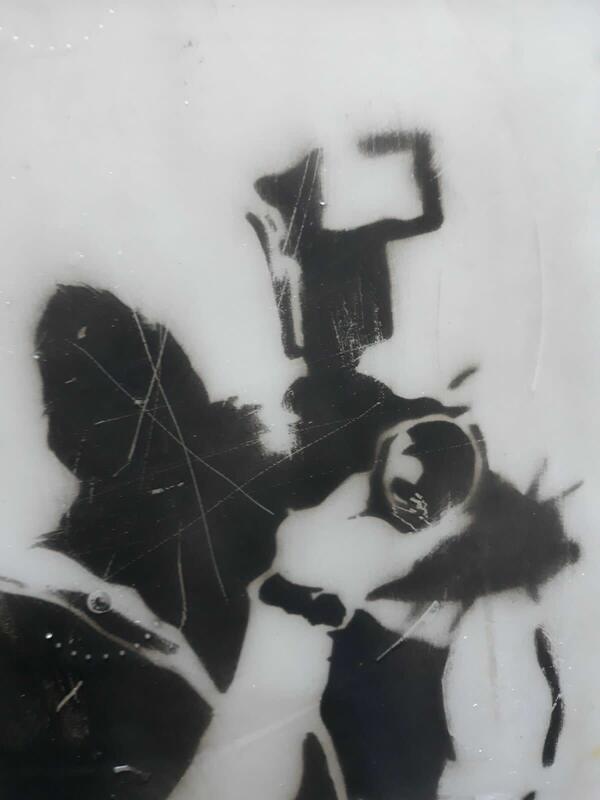 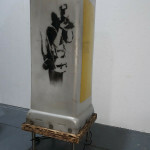 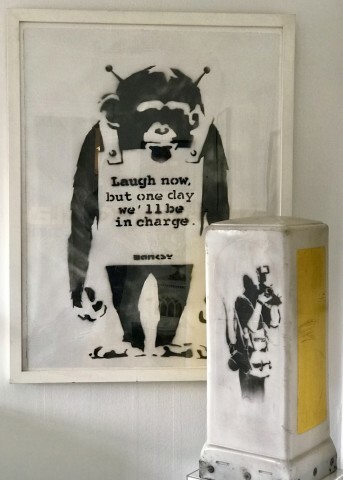 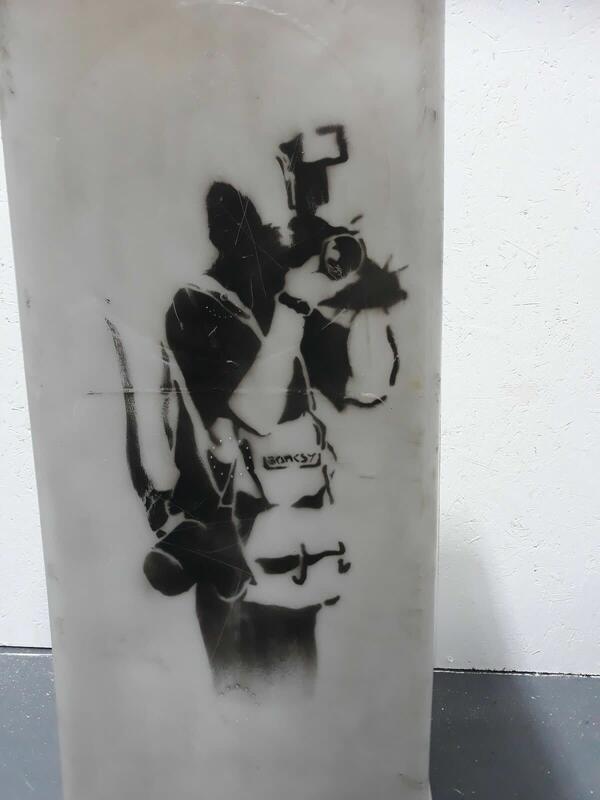 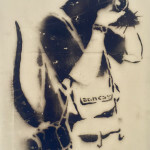 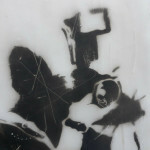 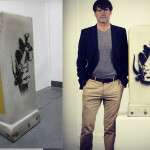 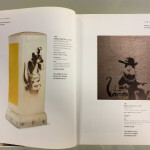 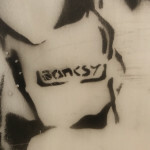 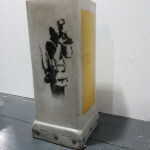 Stencil Spray on plastic traffic bollard with the early Banksy "tag" signature. 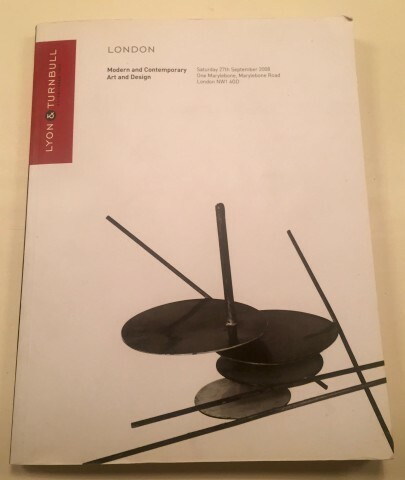 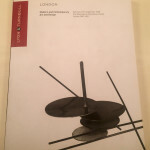 This work is similar to the one we had from the Jon Swinstead collection. 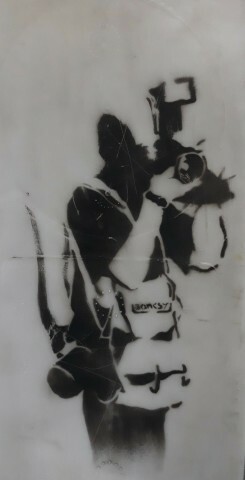 Excact same stencil used. 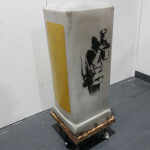 This has sold to a London Collector. 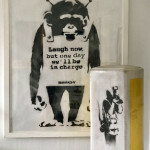 Now on loan to MOCO in Amsterdam. 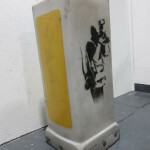 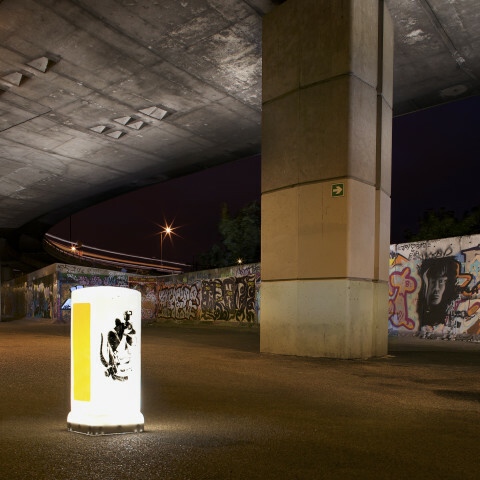 First photos are the bollard in stock. 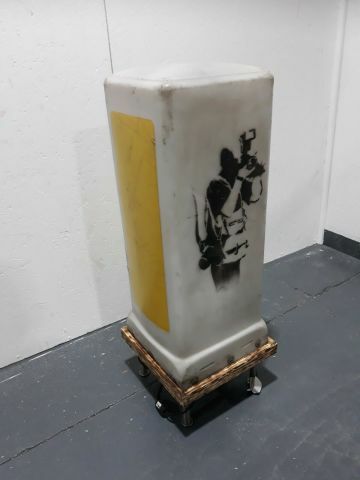 The last photos and the catalog photos are of the Swinstead bollard. 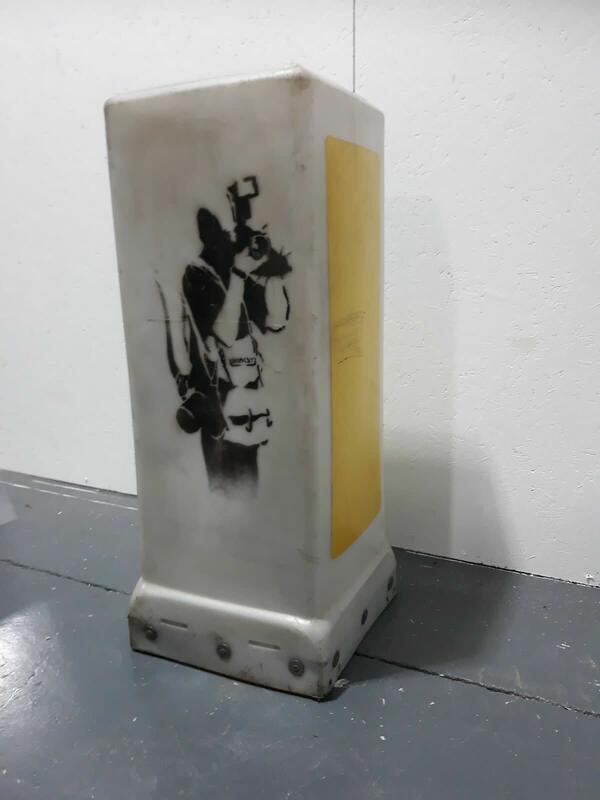 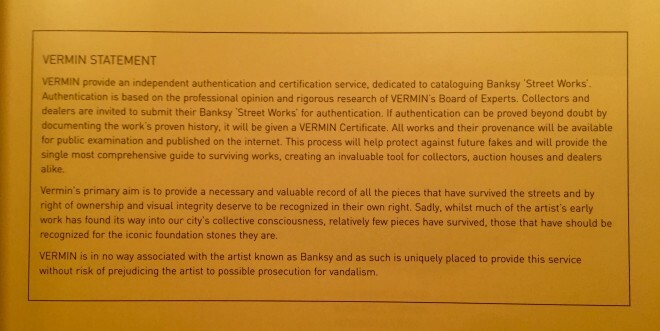 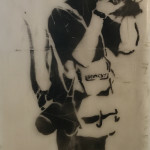 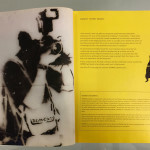 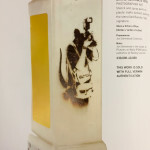 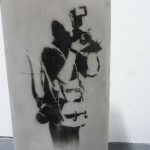 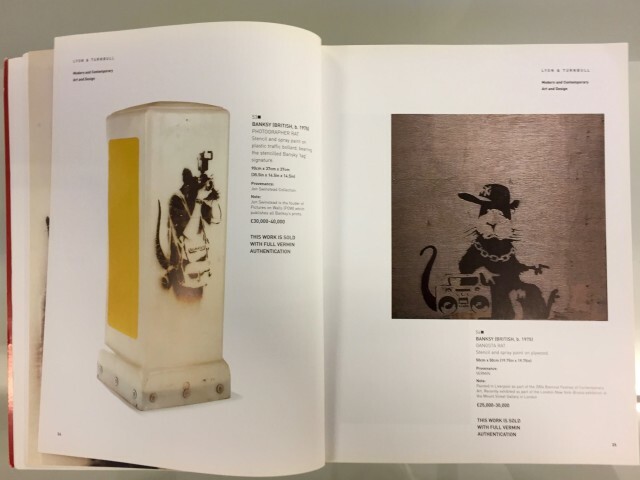 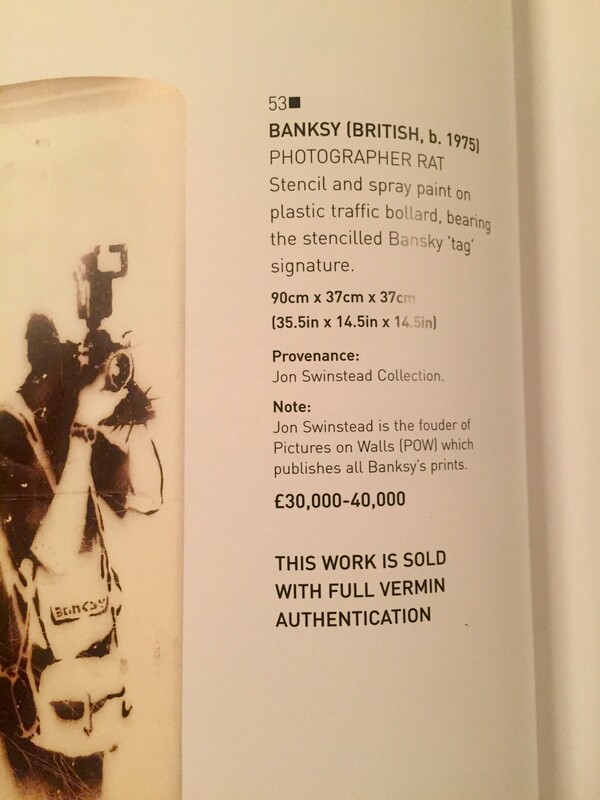 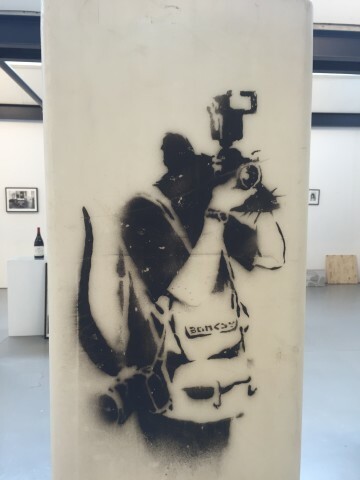 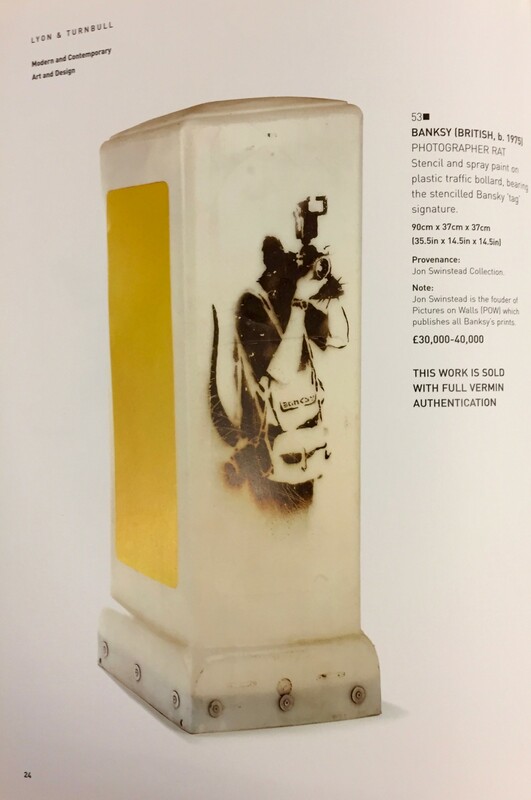 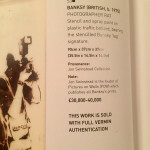 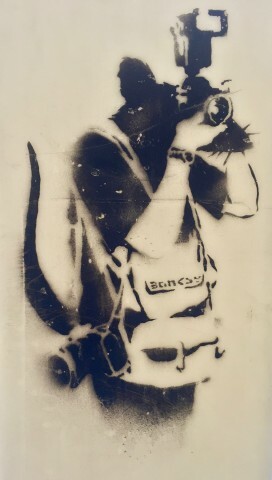 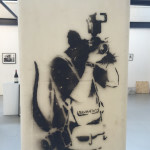 Banky is beleived to have mad a handfull of these "Photographer Rats" on bollards. 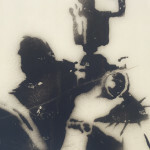 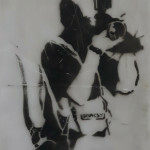 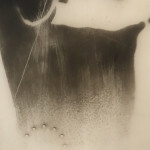 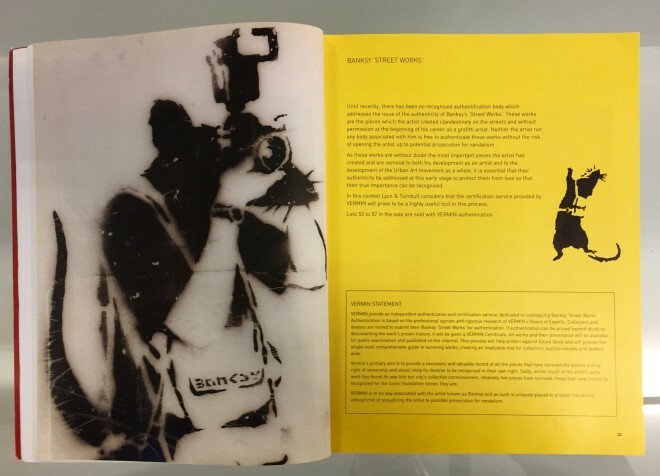 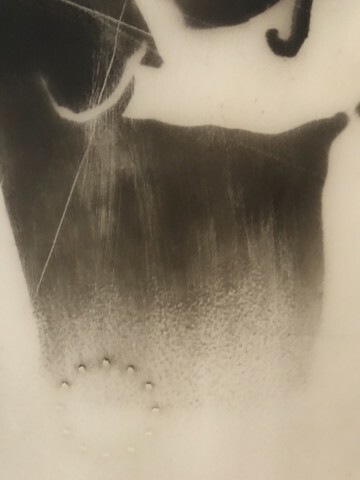 The same stencil in variations has also ben used on walls etc. 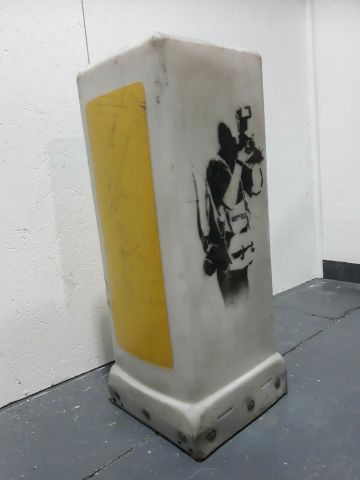 Purchased around 2010 in Weston Super Mare outside Bristol.